Last edited by seanmau5 on Tue Sep 24, 2013 8:45 am, edited 118 times in total. Do the nets come with appropriate attachments? If so, put me down for Gen4 Sedan Side and rear. Nets are supplied with all necessary hardware to fit properly. Please PM me information required, thanks mate. I'll assume it's Gen IV net? Do you require postage, if so, address? And name & number? Anyone have pics to sedan net (not the side ones) - can't seem to find on their website? jakey wrote: Anyone have pics to sedan net (not the side ones) - can't seem to find on their website? 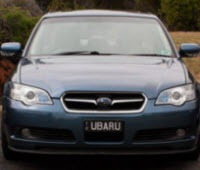 There is no actual sedan rear net however the Forester one fits, I have it in my car and it's what I purchased last GB. UPDATE - I am currently sitting at $994 worth of items. To avoid GST I need to make sure it remains under $1000. At this stage any additional orders will be put on to a separate order which I will process 2 WEEKS after the initial order. Pm'd and subscribed at 12:30. Did I make the cut for the first or second order. ssstahly wrote: Pm'd and subscribed at 12:30. Did I make the cut for the first or second order. First post updated. $180 may be freed up if no reply soon by Fergitron. I notice a fair amount of people are ordering the actuators, do these things fail a lot? cvas wrote: I notice a fair amount of people are ordering the actuators, do these things fail a lot?